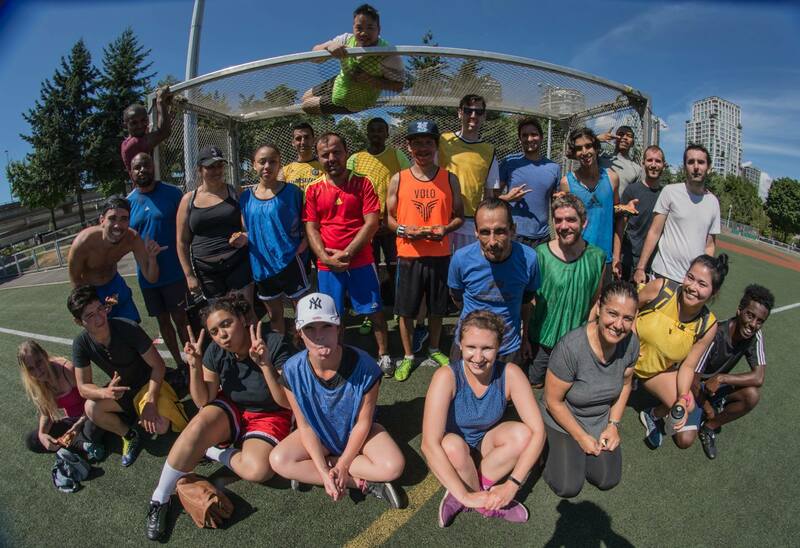 In coordination with the SFU Vancouver Open Learning Week, the Vancouver Street Soccer League is hosting an inclusive event to celebrate our existing participants, volunteers and donors! The night will be all about celebrating the many accomplishments that the Vancouver Street Soccer League has made over the past year, and thank the countless donors and volunteers who allow us to function. We will celebrate the recent trip to the June Sports Soccer Tournament, held in Alert Bay, BC, with an unveiling of the documentary made during the weekend, showcasing our amazing athletes and volunteers! There will be a fun games with the chance to go home with prizes! Free coffee and tea will be offered. From June 25th to August 27th, advanced VSSL players and the White Caps Operations team (“Special Ops”) played seven games in Vancouver’s Urban Rec League at Trillium Field. After losing the first match of the season they began to play less as individuals and more as a team – developing their passing game. All of this teamwork paid off in the final, championship game. Despite the sweltering, nearly 30 degrees weather, they won 5-0. “Sports environments are spaces of heightened emotions and conflict — they test both our interpersonal and technical abilities. Most of us have strong opinions about how the game should be played but we have to negotiate with the rest of our teammates,” says Special Ops Captain, Nicole Dumas. Special Ops continues to play in the Urban Rec League. Join us in cheering them on this season! Chris Laxton is the the head coach of the Douglas College Royals Women’s Soccer Team. Over the past year he and the team have come to VSSL practices and provided lunch and much appreciated encouragement and coaching to VSSL players. 1. Tell us about the Douglas College Women’s Royals and your work as a coach with them. I’ve coached the team since 2014. It has been such a rewarding endeavor getting to interact with such outstanding young women over the last three years. I’m very proud of the work and achievements that this program has attained in a short period of time, including our community initiatives like working with VSSL. 2. What do you love most about soccer? I love sports because of what it can bring to a community. Sports can be everything from an escape from the everyday to a pursuit of excellence. Soccer is a universal sport that brings people and cultures from around the world together like only a handful of things can. 3. Why did you decide to support the VSSL? As a team, we decided that we wanted to be more present in the community. I asked our leadership group to figure out what that might look like. After that meeting I ran into Dominique Fall, an instructor at Douglas College and a long-time VSSL supporter and we started discussing the League. I thought it was a great fit for us and the players agreed. We have come to a number of practices over the past year and it has been so positive for our group. 4. I heard you made a lot of sandwiches for the last practice, is that true? Ha ha! Yes, I made just under 100 sandwiches for our visit. 5. Why should others support the VSSL? Nothing brings people together quite like food and sport. The VSSL does both and supports people who need it the most. Giving to VSSL is simple – show up, play and bring food. Plus, you get the chance to meet and interact with the outstanding people at practices – participants and volunteers! 6. What was your favorite part about practicing with us? All of the smiles. All of the participants from Douglas and VSSL seemed to enjoy themselves. In an environment where things can be taken too seriously at times, it is nice to get back to the root of what drives people to play – fun! We are always looking for new volunteers to help out at events and serve on committees. If you want to get involved, email us here. It has been another successful year for the Vancouver Street Soccer League. We continue to grow our volunteer base and attract new players to our league. It’s a thrill to see players gain employment. Patrick has single handedly secured jobs for many of our players on the Whitecaps Ops crew and Sizwe has secured new job in the textile industry, which is a step towards his dream of becoming a fashion designer. 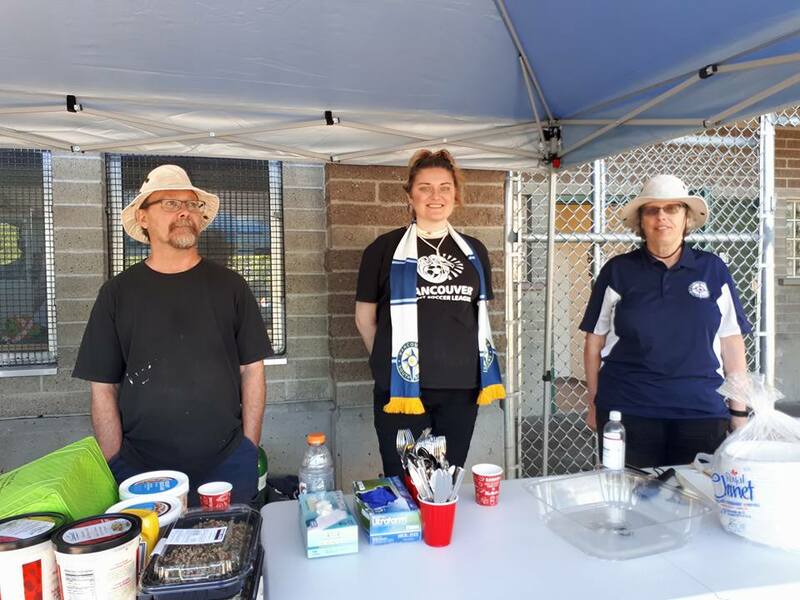 This summer, we had great experiences thanks to our fantastic supporters – the Southsiders annual tournament, with fantastic lunch; a number of visits from our friends at Douglas College both men’s and women’s team and also the support of the UBC Thunderbird Women. We are grateful for the support of Vancity, Southsiders, Emily Carr, Whitecaps, Mathisen Family Foundation, UBC Med Students, and many individual donors. We thank our in-kind donors for equipment and prizes, VOLO, Avitare, Farpost, SoccerWest, Whitecaps. Fairware and Denman Island Chocolate. The League now has committed volunteers for Soccer Operations, Communications and Sponsorship. A big shout out to Nicola at Covenant House, who has inspired a new group of young women to come out and play and our new coach, Jon Hannan, for all his efforts with the team at Sunday and Thursday practices. Keep up the great work. 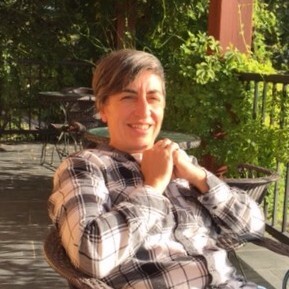 Some Board members stepping down; we’re grateful for their time and service. Dan Coles, Kurt Heinrich, Tony Hadju, Allison Stockdale and Chantal Norrgard. Again, we’d like to give huge thanks to Steve McMinn for his dedicated role in our organization. We look forward to another year of growing together and hope you’ll join us.